Happy day of celebrating Love. Forever inspired by Leonard. Happy Holidays Friends! Wishing all my readers a wonderful holiday season and for those who find this time of year difficult you are in my thoughts! Image created by Gwen Langford. For everyone who has had their lives effected by war and terror. I made this image last night for a group of friends who were in Paris on Friday night, but I dedicate it to all who have had their lives touched by war and terror. I live in hope that someday our planet will have peace for all. I’ve always thought it very appropriate that not only is September 21st the date Leonard was born, but it is also the International Day of Peace. 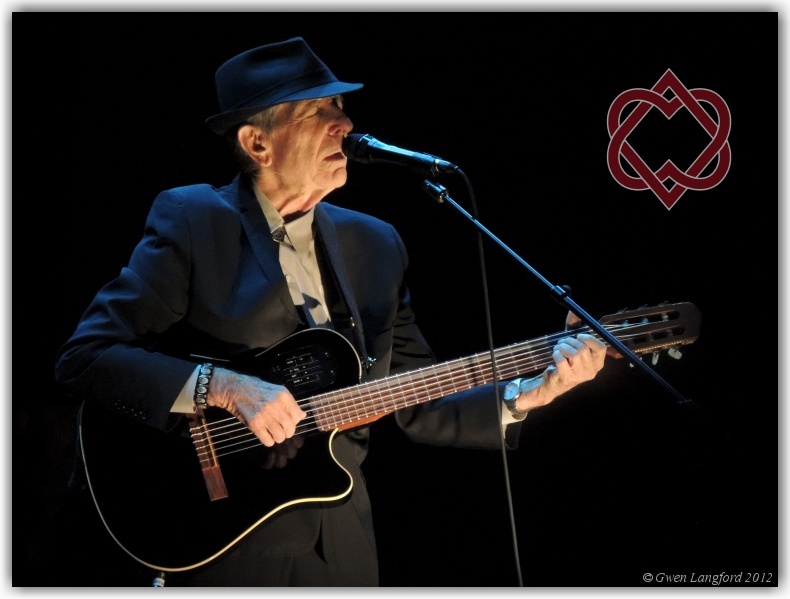 To celebrate that fact here is a photo of Leonard performing Suzanne, in Montreal, November 28th 2012. 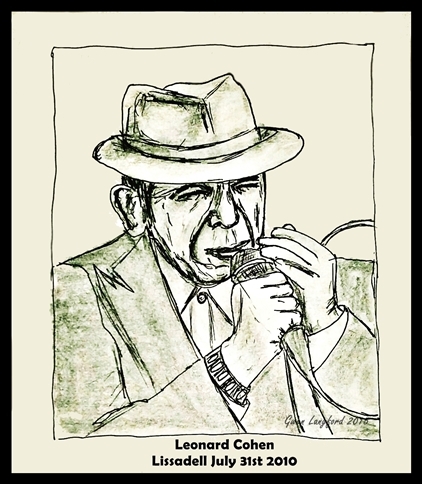 Wishing for you a wonderful Happy 81st Birthday Leonard. May your day be filled with all that is important to you. I wish for you many more happy, healthy years. You continue to inspire me in everything I do. I am forever grateful for all the magical concerts I attended and those moments spent in your presence remain the highlights of my life. 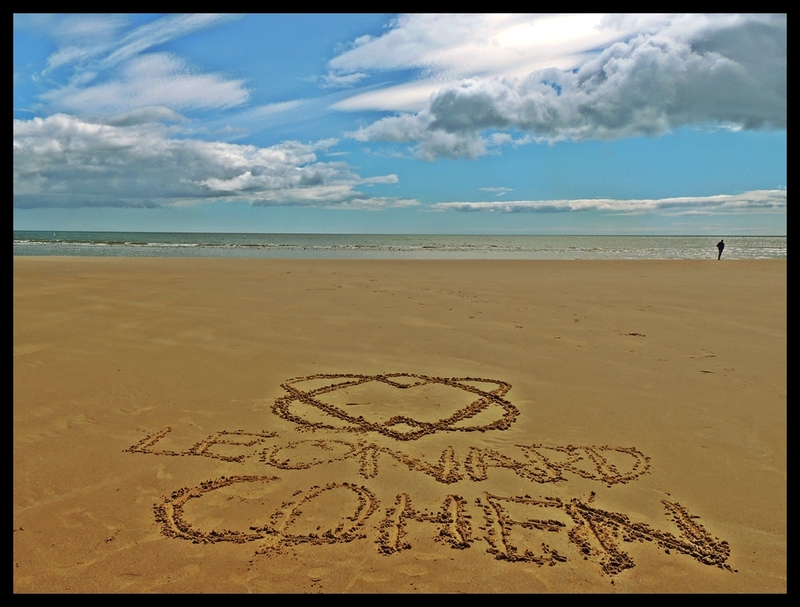 The images included here are a dedication I made to you on a beach in Scotland, on a trip I made there earlier this year, a trip that would never have happened if it weren’t for the connection we made through our mutual love and admiration for your songs and poetry. The other is a drawing I did of a photo I took during one of the New York concerts in 2013. Up to March of this year my drawing ability was non-existent. However I made it my mission to teach myself and many of the drawings I have attempted have been inspired by you. I feel this is one of my best to date. Thank you for being my inspiration, and thank you for the memories. Today is five years since the first of Leonard’s Lissadell concerts. So much has happened in those five years. 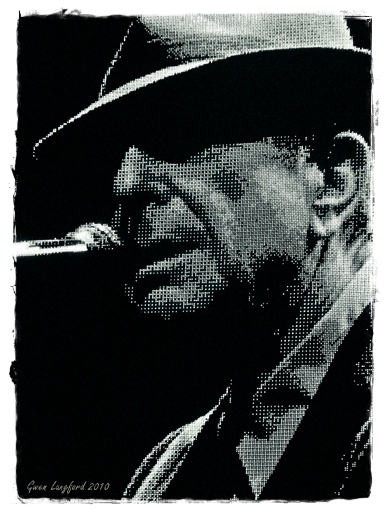 On the night I thought it was going to be the last time I saw Leonard in concert, but such was the brilliance of that night, I just knew I had to see him again, and there started a wonderful journey, which I am still on! Details of that journey is what this blog is all about! While this drawing isn’t as good as I’d like, I just couldn’t let today pass without honouring it in some way. 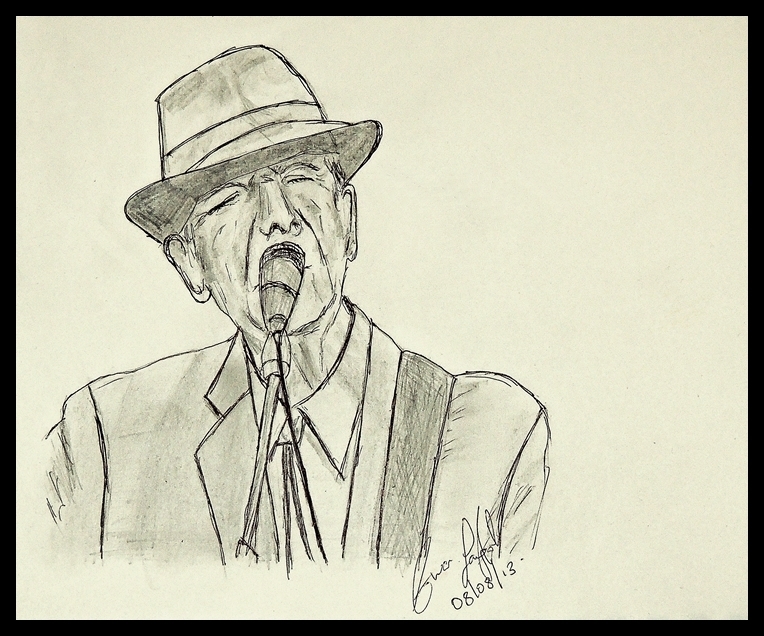 The drawing is of a photo I took of Leonard during that concert on July 31st 2010. I think I am better at editing photos than actually drawing them. This was a photo I took of the screen and just did a few tweaks on it today. The wonderful memories of that night live on in my heart and the hearts of everyone blessed to have been there on that night, a night I then described as magic and a word that suffices! As I once said to Leonard, Thank you for the magic and memories of Lissadell. Leonard’s antics during Tower of Song in New York, April 6th 2013. While I have always loved birds, and especially robins it is only in the last couple of months that I started photographing them everyday. While I got some lovely photo, the one I really wanted was one on a wire in honour of Leonard’s Bird on the Wire. A couple of days ago one obliged for the first time but it was too dark to get a decent photo. He must have read my mind though, because today he landed on the wire loads of times so I finally got the photo I wanted. I’ve also started drawing in the last few days so decided to draw this photo. I have a lot to learn when it comes to drawing and I hope with time I can improve! Here is the photo and the attempt at drawing it. Leonard always inspires me and I see reminders of his work in everything I do. I’ve noticed when I play Leonard’s music the robins outside seem to enjoy it. Here is one singing along to Slow from Popular Problems. 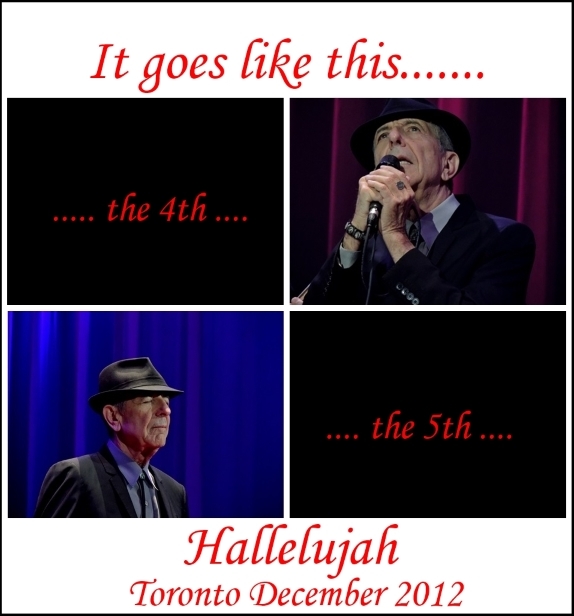 So this time last year I had this image ready to post on the first anniversary of what I call my Hallelujah concerts but internet issues meant I couldn’t post then. So roll on this year and the 2nd anniversary. Great memories of a wonderful time. I guess I should have posted this yesterday but as Leonard would say “There is a crack in everything”.